While some mothers struggle to produce enough breast milk to meet the milk intake of their babies, others are blessed with an excess supply of breastmilk that they eventually run out of freezer space to store their liquid gold. For the past 2 pregnancies, I have been lucky to fall under the latter category. This took me by surprise the second time round, as usually the milk does not kick in so fast after a c-section delivery. In my case, I started having engorgement from Day 3 in the hospital and had to pump milk to clear it up – and this also marked the start of my oversupply issue. KKH has recently announce its plan to set up the very first milk bank in Singapore, whereby the donated breastmilk will be screened before they are released to donor babies, who are mainly premature or sick. But while this service is yet to be officially launched in Singapore, mothers with excess milk supply who would like to donate to help other mothers who are facing supply issues can take the following steps. 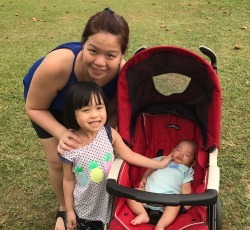 Human Milk 4 Human Babies Singapore – This is a non-profit milk sharing network on Facebook whereby posts put up by mothers are screened by the moderators before they go live. Once your post appears on the page, mothers who are in need of breastmilk for their babies can contact you directly via Facebook messaging. While I’ve had quick response from this group after my first pregnancy in 2013, this time round I find that the activity level of this group is rather low. Some mothers have commented that it could take a while before their post goes live on the page. EDD support groups – These days, there are heaps of support groups on Facebook and Whatsapp for mothers who are expecting during a particular year or month. From posting questions on issues related to their pregnancy and babies, it is right here on these groups where posts on frozen breast milk to bless are put up. Contact and arrangements are then made via Facebook messaging/Whatsapp. As milk sharing via informal channels is not screened, the mothers who post up the offer should assume responsibility over this and be as detailed as possible when creating the post. This is to help the parties on the receiving end understand as much as possible about you, your lifestyle and assess the safety and suitability of your breastmilk for their baby. Pumping breast milk takes time and effort, and some have questioned if the mums donating their liquid gold should be compensated for their efforts. While there does not seem to be a set rule governing the sale of breast milk (i.e. one receives money for the breast milk they offer), doing so is illegal in some states in the U.S. and some buy-sell websites and apps have stated that the sale of breast milk is not allowed. Thus, when it comes to milk sharing via informal channels, the most common ‘return’ for the donor mum comes in the form of breast milk storage bags from the receiving party. While breast milk is deemed the best source of nutrition for infants, mothers who are facing supply issues should not beat themselves up for it if they are unable to nourish their babies exclusively with breast milk. Know that there are other avenues, and being blessed the the frozen breast milk of a donor mum is one option. However, if this is deemed unsuitable for health and safety reasons, there is also infant formula to supplement the feeds – at least until you build up your own supply over time. After all, what our babies need is a happy mum – regardless of whether they are breastfed or otherwise. Previous Previous post: ShopBack Review: Here’s Why Mummies Should Do Their Online Shopping with ShopBack!